I wasn’t quite as excited with the results of my color mixing quin red with quin gold and also with ultramarine blue, cobalt blue, etc. 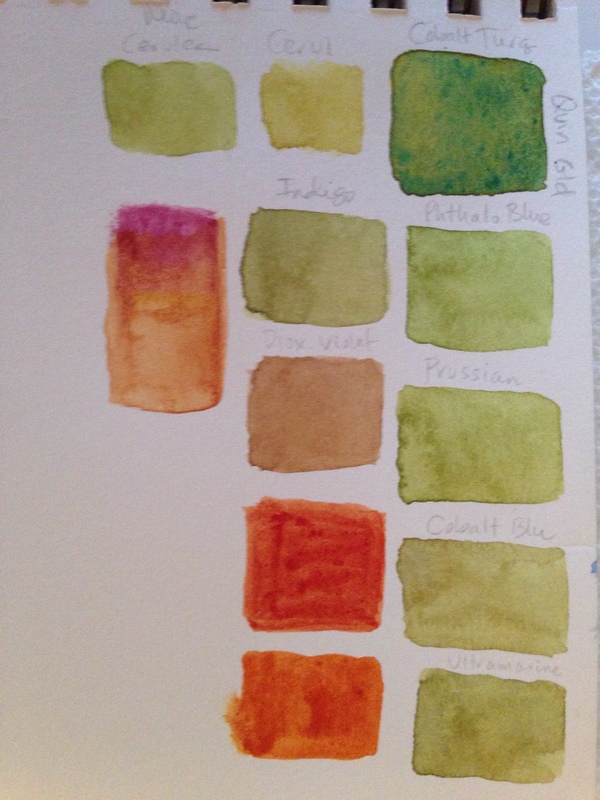 All of the greens I got with all the different blues mixed with quin gold look suspiciously similar…..not sure what that’s about. Just looking at this makes me want to find time for art today!!! The top piece looks like a lovely landscape with sunset sky! Jill, I think it was dioxazine violet and mauve (both Cotman tubes) mixed. Maybe with M Graham quin rose as well. I love mixing purples! It’s probably my favorite color. The differences are subtle in the greens but they’re there. I love the blue red purple pink. It’s my favourite colour. lol. Okay, that’s it. I have got to start experimenting with water colours. Thanks for the inspiration. YAY! 😀 Oh, I can’t wait to see what you do with them! You will be unstoppable, lady. 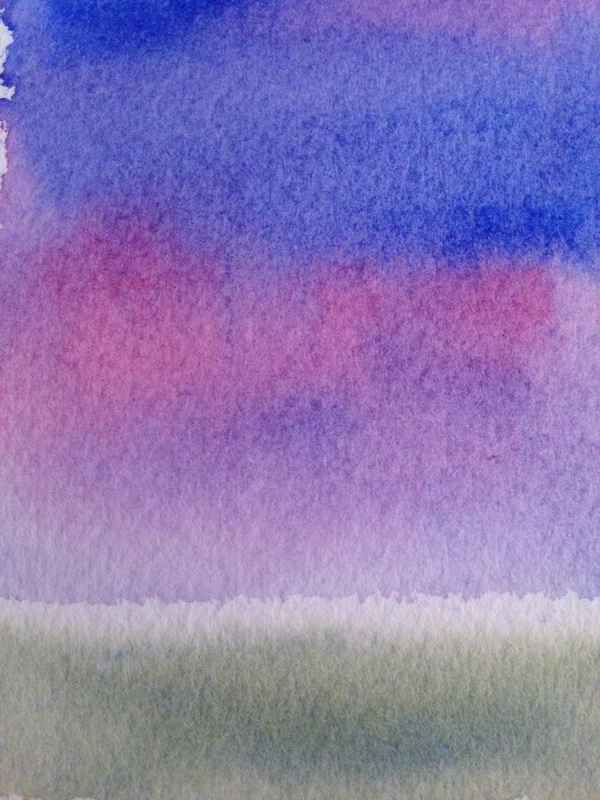 I like the transparency of the quinacridone pigments. Quin. gold is one of my favorites, and I’ve recently been experimenting with Quin. magenta. Love the way you’ve let the pigments mingle on the paper. Thanks, Ruth! 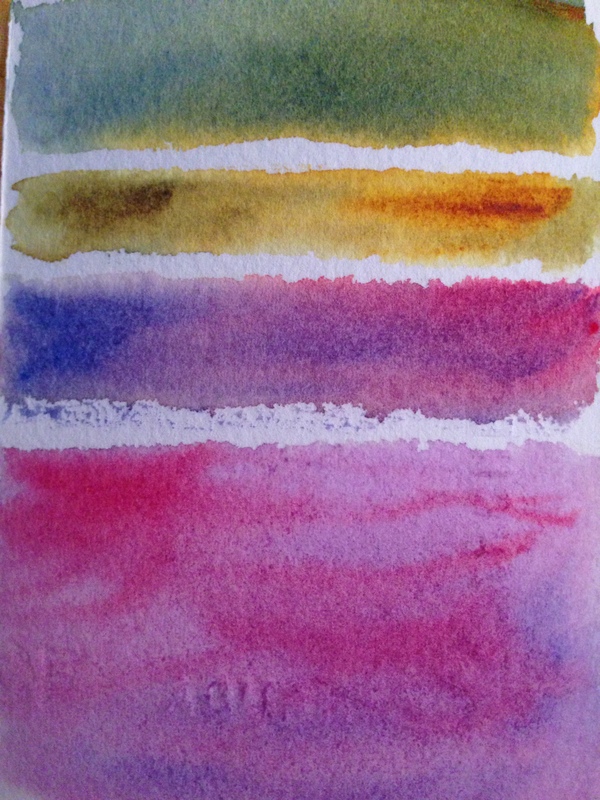 I’m really loving the vibrancy of the quinacridone pigments. Do you recommend any others besides the gold and rose? I don’t know the others. I have a red, but I haven’t used it much. I’ll be looking at what you do! Wow, I love the colors!!! There´s nothing nicer than watercolors melting into each other!